It’s not a stretch to say that Brooklyn Heights may be the New York City real estate equivalent of having it all. A single subway or ferry stop from Manhattan, the polished, peaceful neighborhood is awash in historical beauty, leafy brownstone blocks, postcard views, solid schools and location, location, location: Nod your head in one direction to take advantage of all that frenetic Manhattan has to offer. Nod in the other to sample the food and culture of hip Brooklyn neighborhoods like Dumbo, Boerum Hill, Cobble Hill and Gowanus. Or just stay put and revel in your enviable, serene environs. "It's the best of both worlds. 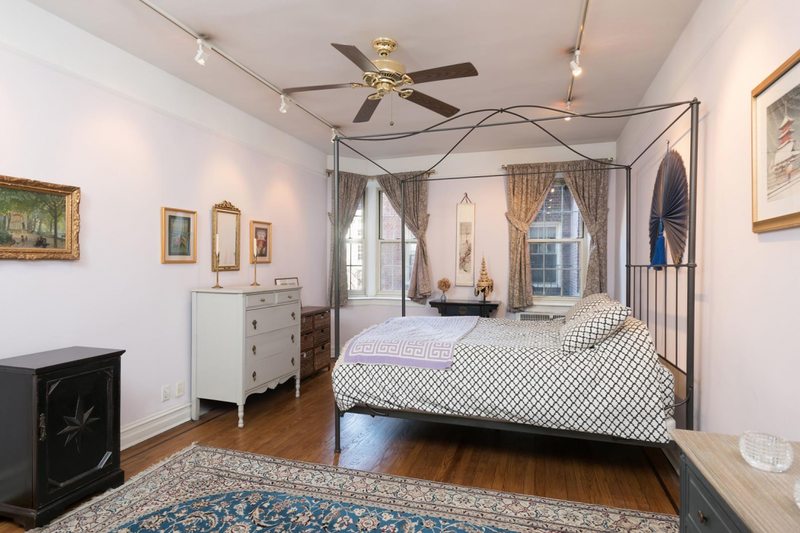 Quiet tree-lined blocks with historic mansions are adjacent to several energetic main streets with all conveniences," says Brooklyn Heights specialist, borough native and Douglas Elliman broker Rita Van Straten. The affluent neighborhood draws first-time buyers, young professionals working in Manhattan, parents who appreciate the good schools and small town vibe, as well empty nesters looking to downsize from homes beyond city limits and invest their money wisely. Doubt the hype? 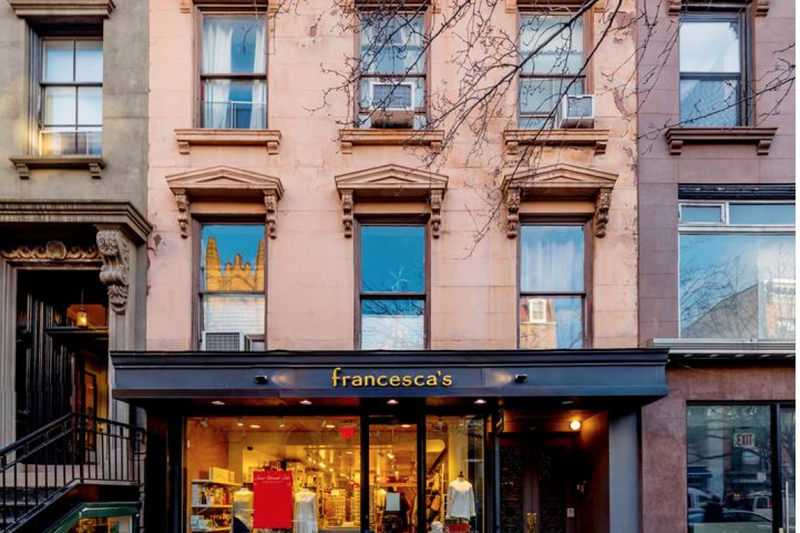 Read on for more about why Brooklyn Heights tops the wish lists of so many New York City apartment shoppers. The ridiculously easy commute to Midtown Manhattan takes less than 30 minutes (including walking time) via an extensive choice of subway lines: the A, C, R, 2, 3, and 4/5 trains are within the neighborhood’s bounds. The F, and G, are a short walk away. The Financial District is barely 15 minutes away on the A, C, R, 4, 5, 2 or 3 trains. Brooklyn Heights is even more convenient to some parts of Manhattan than actually living in Manhattan. Don’t fancy an underground commute? No problem. If you prefer to literally roll into work, you’re in luck: “Citibikes are everywhere, and so are bike lanes,” says Van Straten. NYC ferry, with a pickup in Brooklyn Bridge Park, can also get you to Wall Street in less than 20 minutes. Whether you’re in the market for a townhouse or apartment, you’ll get more for your money in Brooklyn Heights than Manhattan. An average Heights studio ranges from the mid-$500,000’s to $700,000, with one-bedrooms averaging $750,000 to $900,000 and two-bedrooms starting at $1,250,000 and up, according to Rubinstein. The state of renovation, building type, amenities, and whether it’s a co-op or condo will all factor in, Rubinstein notes, but those are reliable ballpark numbers. As an example of how much further your real estate dollar will go in Brooklyn Heights, say Elliman agents Myrel Glick and Martha Ellman, a search of co-op studios currently for sale in Greenwich Village and Brooklyn Heights show an average price in Greenwich Village of $764,057, versus $506,534 in Brooklyn Heights. You’ll also get far more for your money if you’re buying a brownstone. Would-be Manhattan townhouse buyers “are astounded when they compare what you can get there compared to here,” Van Straten says. For example, a fully renovated, 8,000-square-foot single family home on Willow Street in Brooklyn Heights sold last November for $11.5 million ($1,299 per square foot) with taxes at $5,000 a month, while a 7,000-square-foot property on the Upper East Side is currently asking for $12.5 million ($1,786 per square foot) with $6,764 a month in taxes, note Glick and Ellman. On Pierrepont Street, a 6,000-square-foot townhouse is currently asking $9.5 million ($1,334 per square foot) with taxes of $3,697 a month. 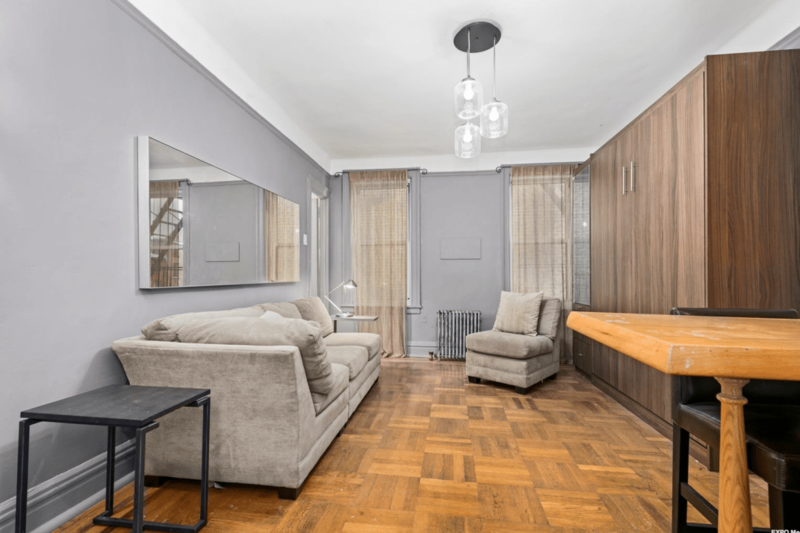 Compare that to a 5,750-square-foot Greenwich Village five-bedroom on West 9th Street listed for $15 million ($2,608 per square foot) with monthly taxes of $7,238 a month. With its unbeatable location, abundance of transportation and heart-stopping curb appeal, Brooklyn Heights real estate is in perpetually high demand and very limited supply. "Property values over the last few years have simply soared,” Rubinstein says. "My experience is that Brooklyn Heights even in down markets doesn’t really go down, it just equalizes, and then goes up once more as the inventory is so limited." Elliman agents Ellman and Glick, who’ve been selling in the area since the 1980s, say they’ve seen every kind of market, and “there definitely has been a steady appreciation here in Brooklyn Heights, which we expect to continue into the future." The historic districting means the number of new developments are limited, so the housing stock here is extremely finite. Once people move in, it’ll likely be sometime before they move out, if they ever do. Brooklyn Heights was NYC’s first designated historic district, and the real estate shows it, spanning a variety of time periods, architectural designs and apartment styles—many dripping in century-old details. Wander the area and you’ll come upon countless historic sites, like Plymouth Church, plaques galore, and gas lamps. The majority of the housing stock is low- to mid-rise pre-war co-ops in a variety of period architectural styles and, of course, stretches of Brooklyn’s world-famous brownstones. “Federal, Greek Revival, Gothic Revival, Romanesque Revival, Italianate and Queen Anne,” Douglas Elliman agent Martha Ellman lists, are all among the wide variety of period architectural styles to be found. There are a few newer condo developments popping up along the waterfront, and a few smaller ones on the side streets, but far less compared to nearby Downtown Brooklyn and other parts of the borough which lack historic districting. Fun fact for history buffs: Heights homes are additionally some of the easiest in the neighborhood to dig up history on, what with the Brooklyn Historical Society right there on Pierrepont Street. Dogs and residents alike enjoy in a surplus of outdoor destinations in Brooklyn Heights. Brooklyn Bridge Park features a variety of sports fields including, in warmer months, a roller skating rink. The Brooklyn Heights Promenade, a cantilevered walkway over the BQE, boasts some of the best views to be had of Lower Manhattan's skyline. To the east there's Cadman Plaza Park, a lush divide between Brooklyn Heights and Downtown Brooklyn’s border, down south is Van Voorhees Park, which features a playground as well as basketball and tennis courts, and a variety of other parks dot the neighborhood’s perimeter as well, including Hillside dog park. Then there’s the eats. Jack the Horse Tavern, Henry’s End, Noodle Pudding, Colonie, French Louie, Bon Gusto’s, Teresa’s, Armando’s, DellaRocco’s, Ani Sushi, Lantern, and Iron Chef are among Glick’s favorites and just a sampling of what the neighborhood has to offer – and that’s without venturing beyond its borders into the culinary mecca of larger Brooklyn. 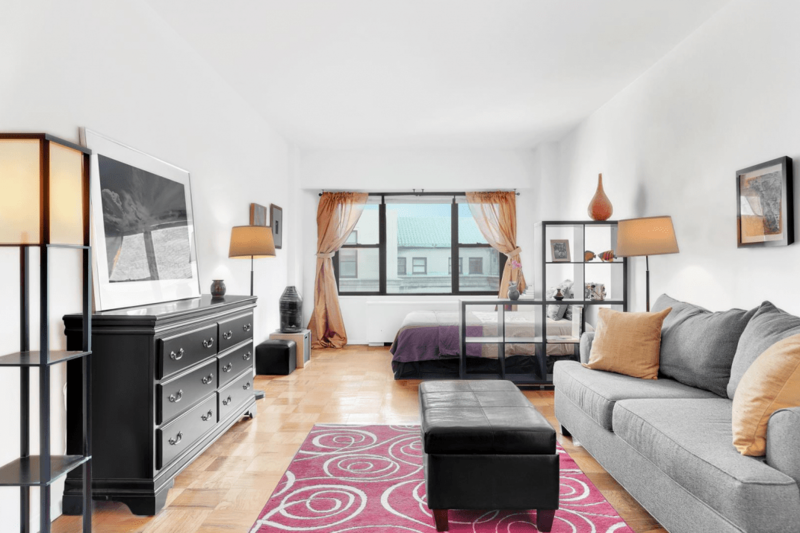 Ready to browse listings in Brooklyn Heights? 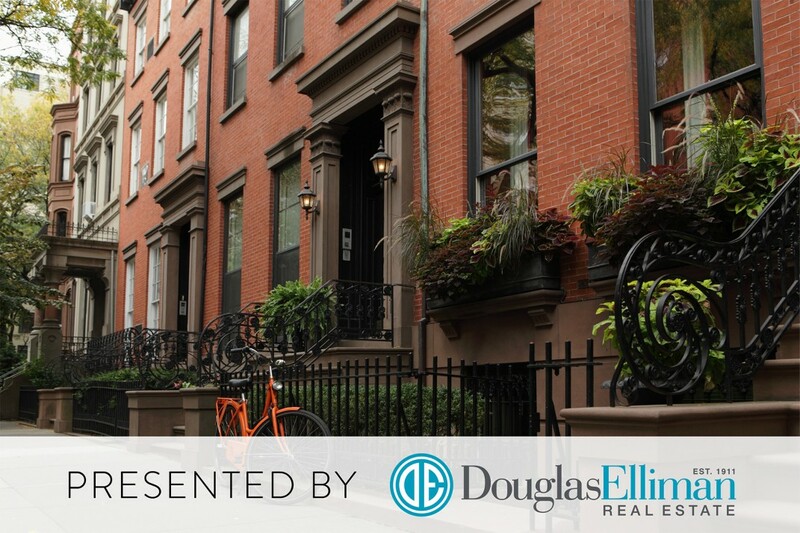 Search online here or call 718-780-8100 to speak to an agent in Douglas Elliman’s Brooklyn Heights office.